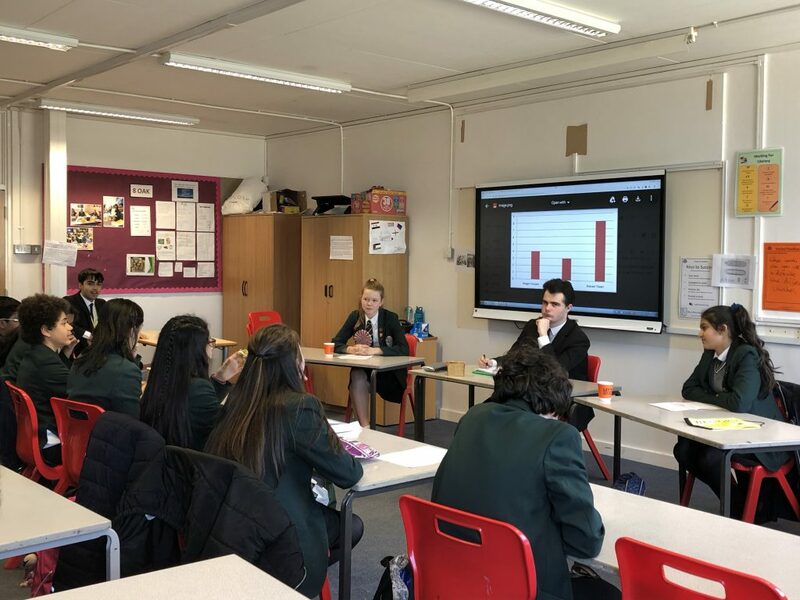 The last meeting of the Debating Society this term saw the announcement of the winner of the election to become the new leader of the group. With a drum roll from those present, outgoing leader Leon declared that the new leader would be Jhanavi (9 Oak) who beat Megan (also of Year 9) in the run-off. 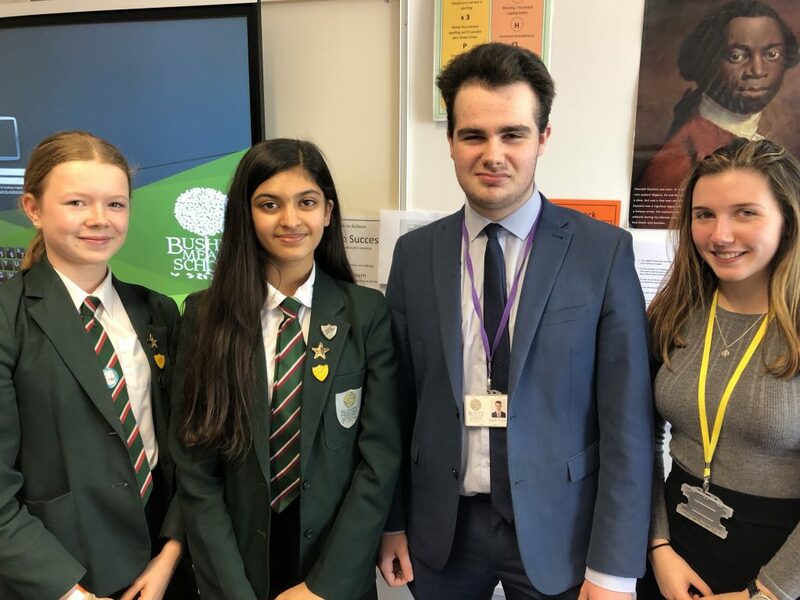 Congratulations to both Jhanavi and Megan who showed off their strong debating skills as they made the case as to why they should become the next leader after Leon over a series of debates. It was a close call but in the end Jhanavi gained the most support. She will have a hard act to follow as Leon, ably assisted by Victoria, has led the society this year with great ability, dedication and style. Meetings in H4 have regularly been crowded with late arriving members risking not having anywhere to sit. I have particularly enjoyed seeing students across the whole secondary age range from Year 7 to Year 13 debating with passion and commitment whilst showing respect for each other. Jhanavi will chair her first meeting on the first Monday of next term, April 29th as she plans to move the society forward with help from others. We wish her well and say a big “thank you” to Leon for being such a talented and charismatic leader this year.